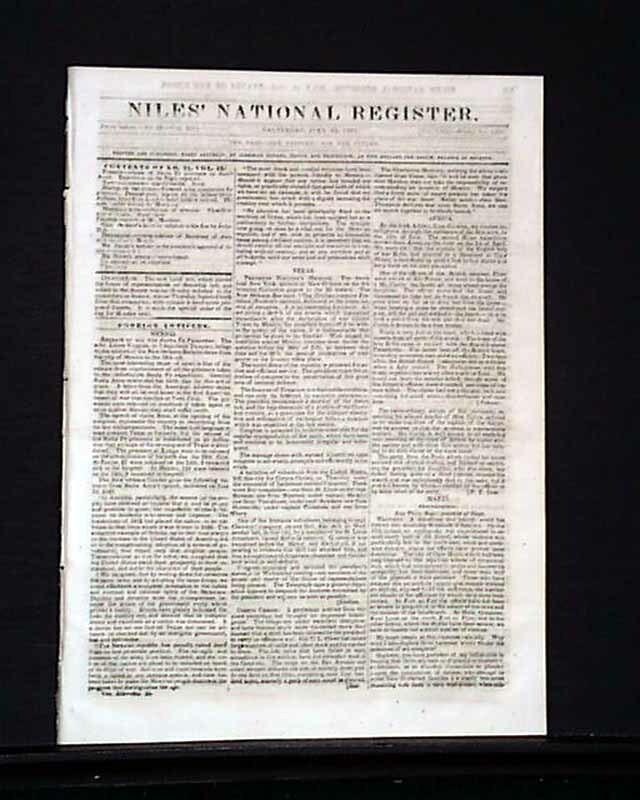 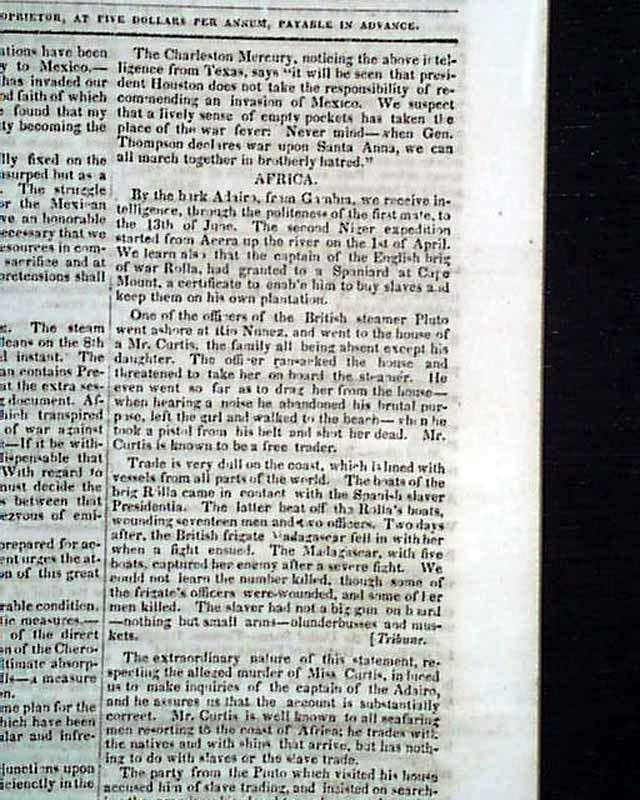 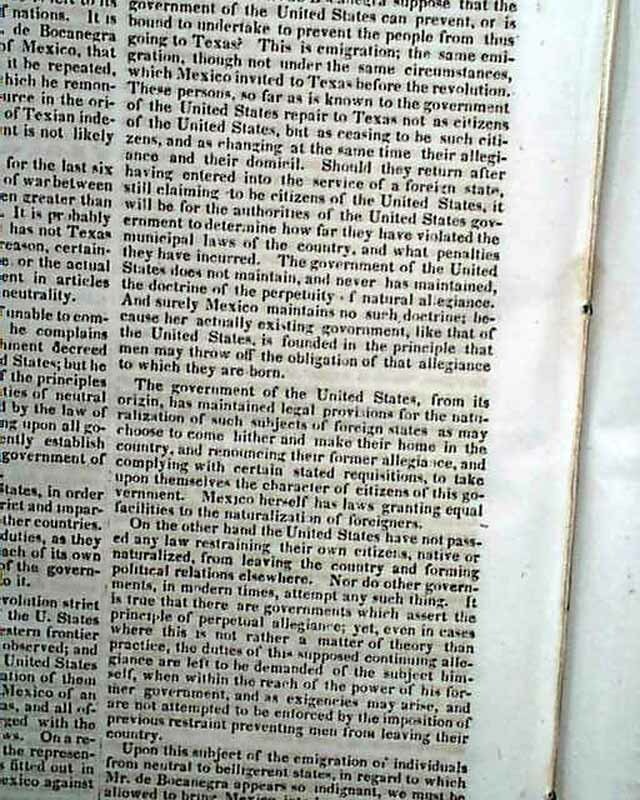 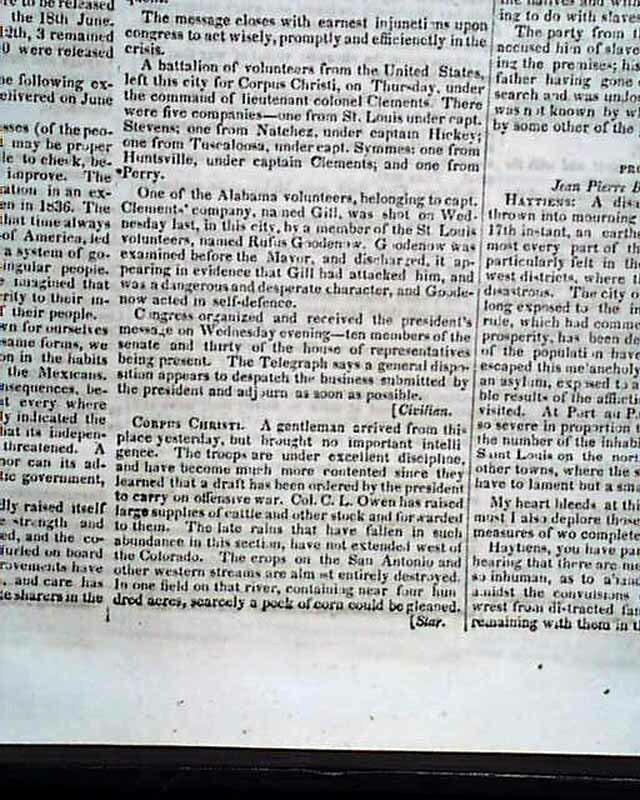 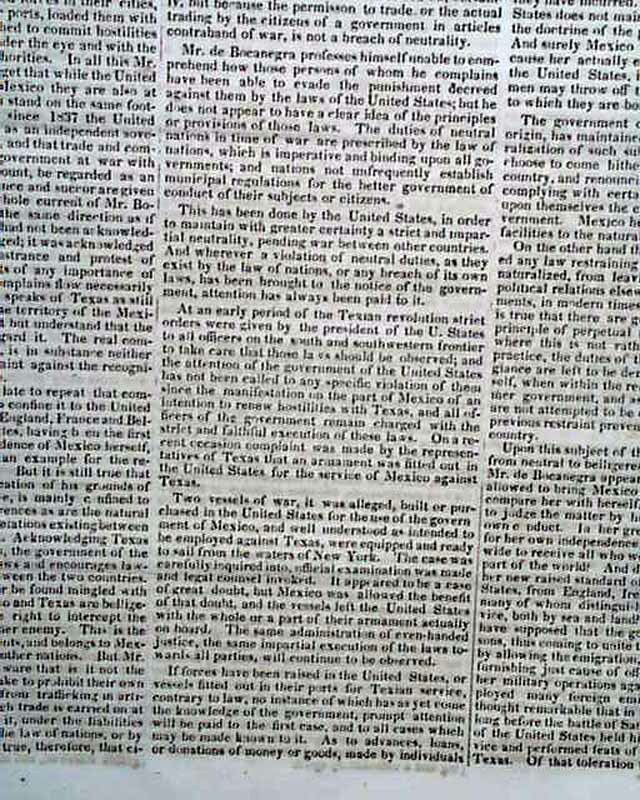 NILES' NATIONAL REGISTER, Baltimore, July 23, 1842 Page 3 has an article headed: "Illinois" with subhead: "The Mormons" which has near the beginning: "...In regard to moral principles, there is no city either in this state or in the United States that can compare with the city of Nauvoo. 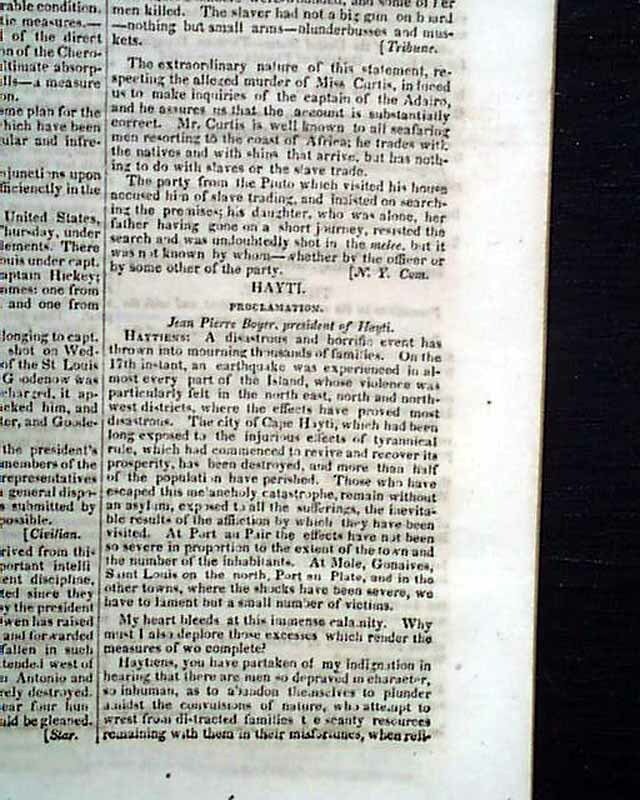 You may live in our city a month and not hear an oath sworn, or see one person intoxicated..." and more complimentary comments (rarely found in newspapers of the day). 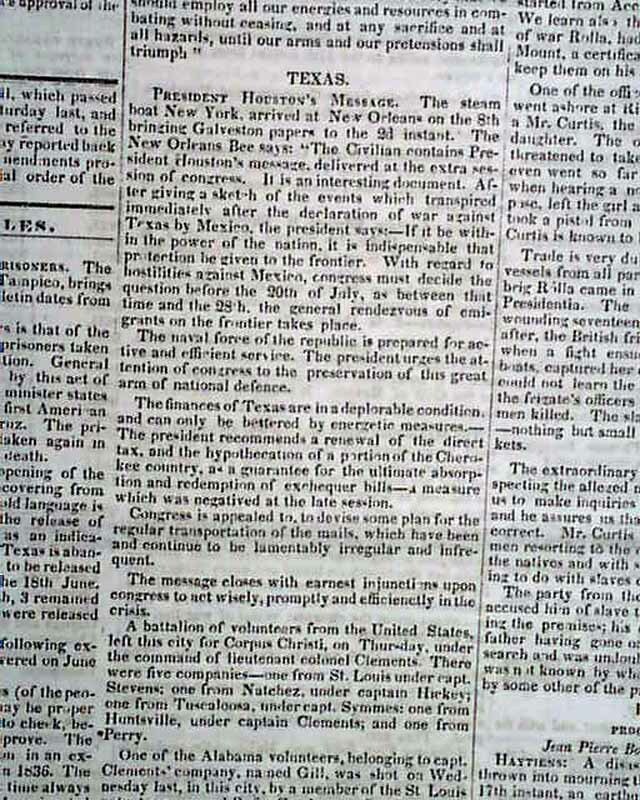 A somewhat lengthy article which takes about half a page. 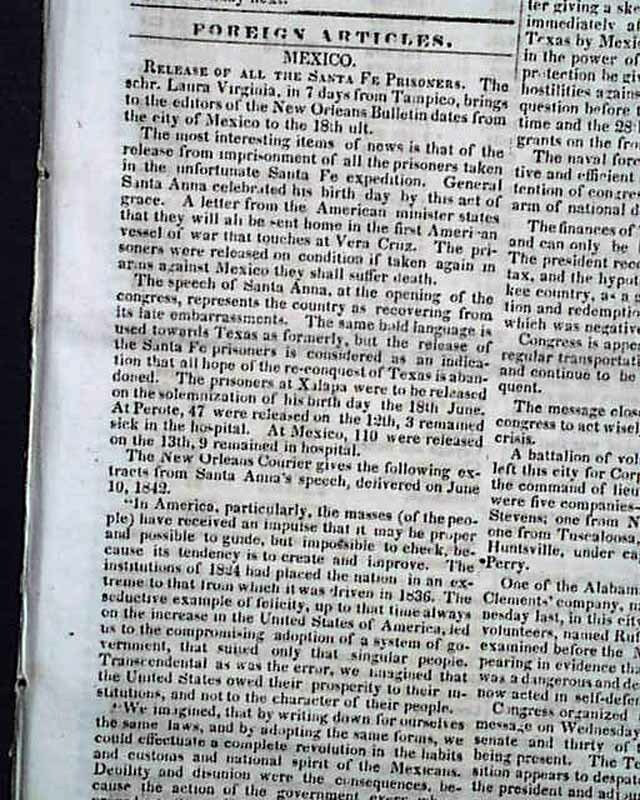 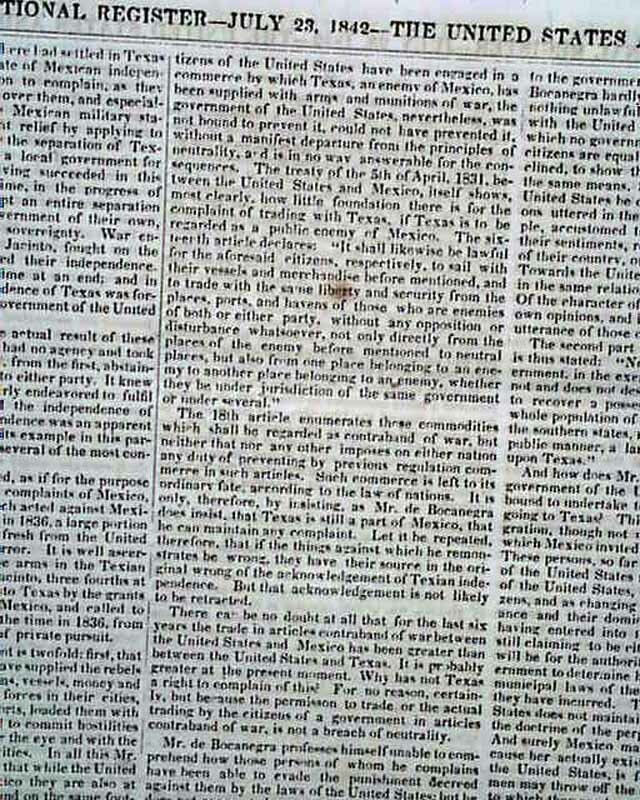 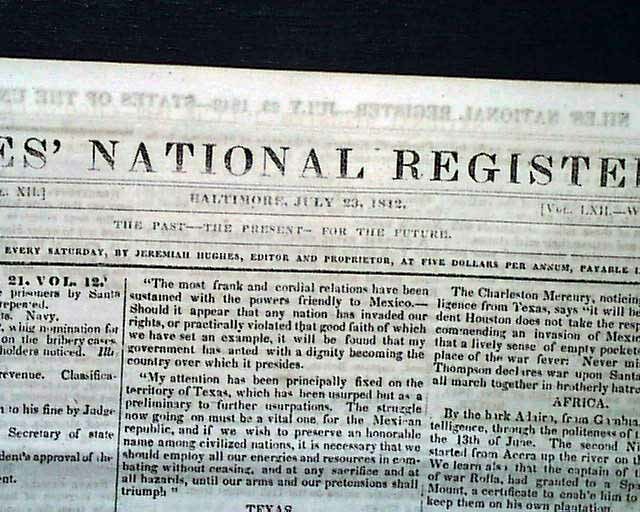 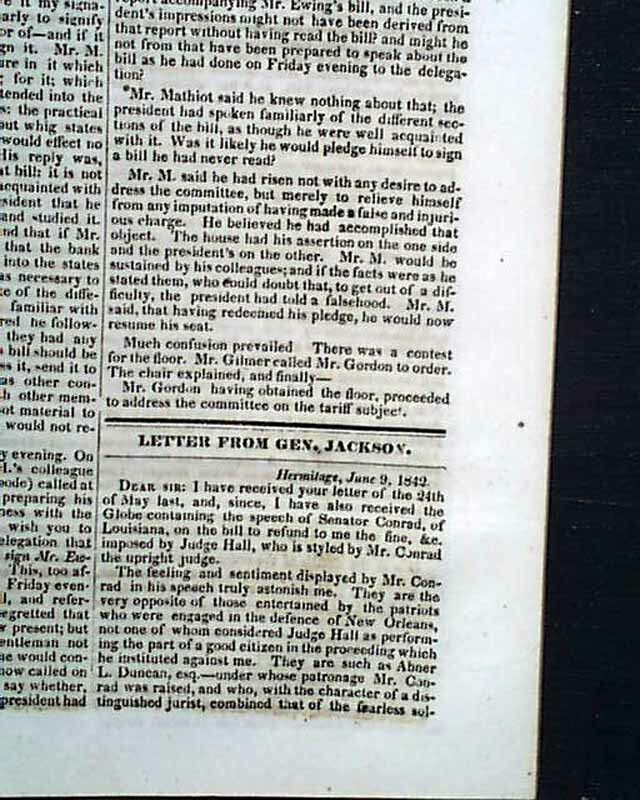 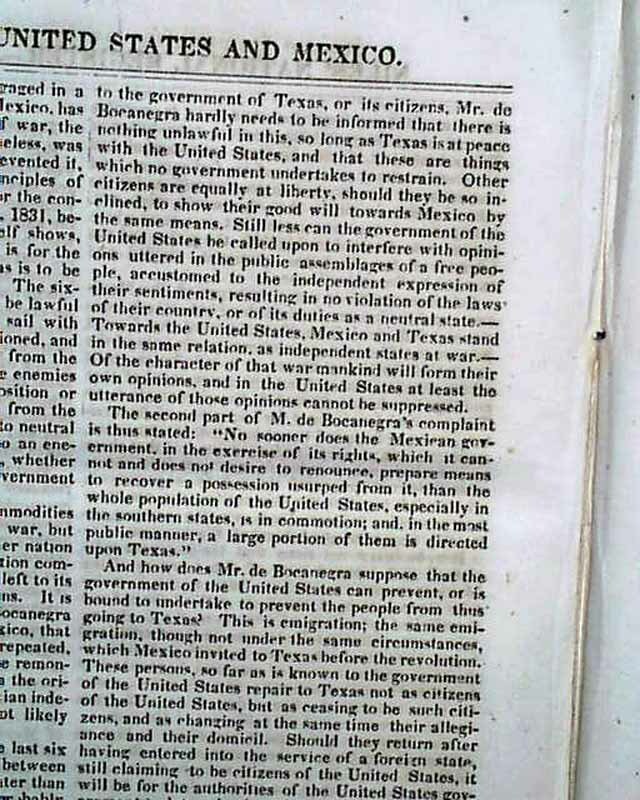 Also within this issue are: "The Slave Trade" "Texas--President Houston's Message" "Letter From Gen. Jackson" which takes most of a page & is signed in type: Andrew Jackson. 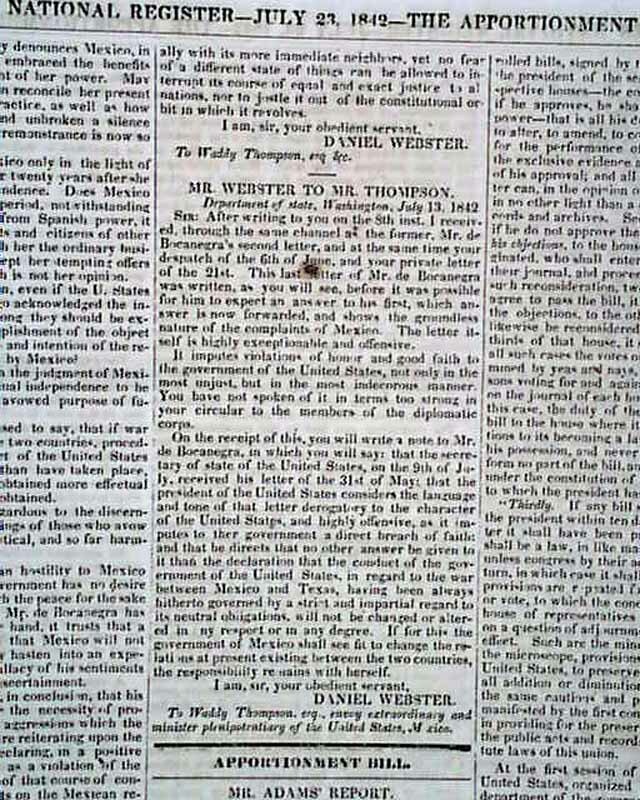 Other brief letters signed by John Tyler, and Daniel Webster, and much reporting from Congress. 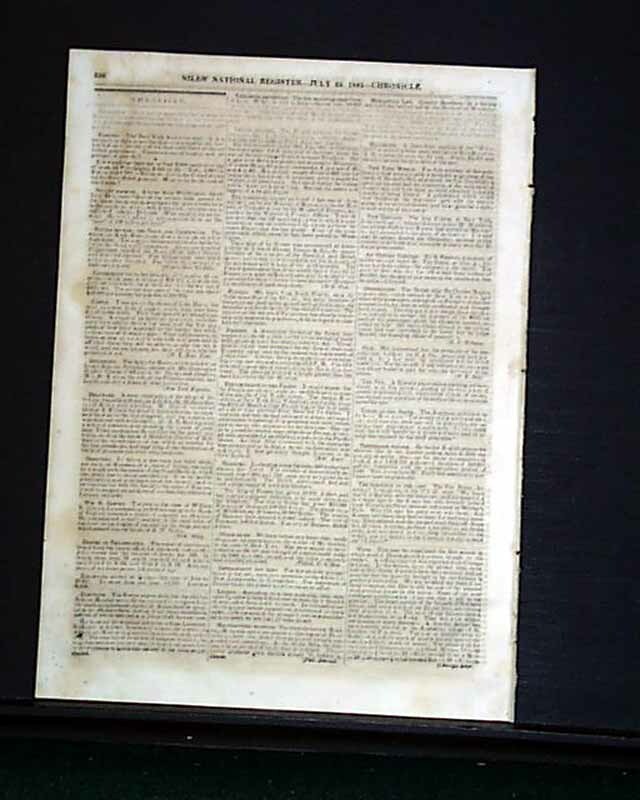 Sixteen pages, 8 3/4 by 12 inches, some toning to the back page, otherwise in very nice condition.